I love the gradient colour effect and the most elegantly piped rose petals! 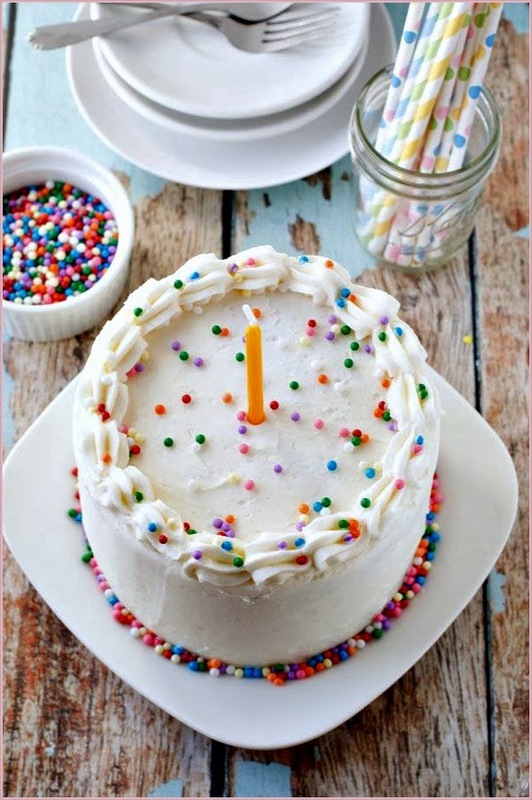 Of course, the classic vanilla frosting and sprinkles… And why the fudge not? Hello there you sassy thing! This little number is naughty but nice and quite the show stopper with its contrasting sponge. All hail the mouth watering crown a top the proud head of birthdays. How fine does this cake look! Regal and divine, and down right delicious. 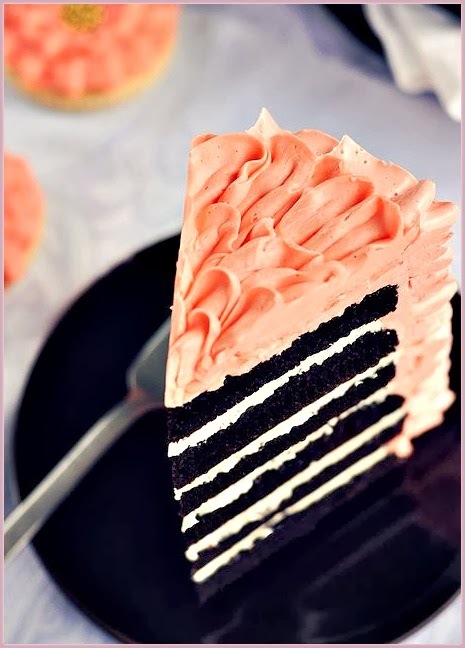 Peachy pink smush frosting. Such an effective idea, lures you in with its delicate hues and tactile appearance. Quality not quantity. 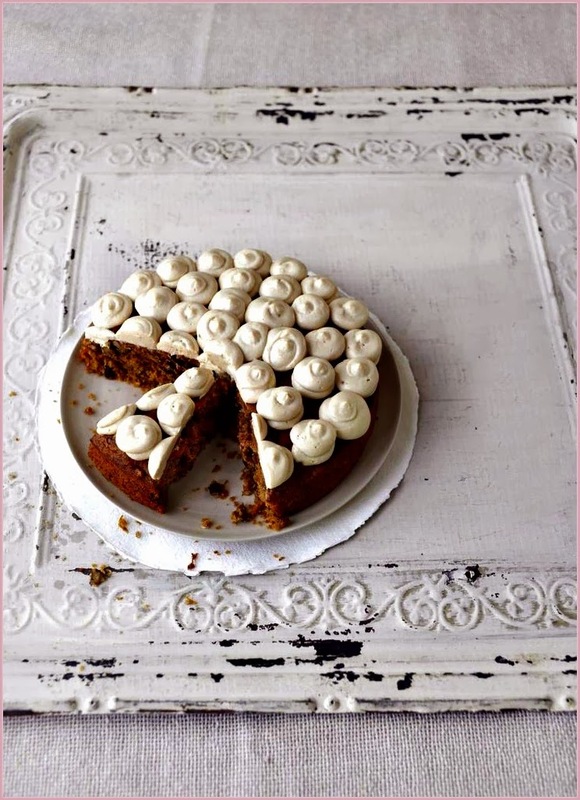 With this triumphant treat we have flair with substance, a carrot cake like no other. No need for multi- tiers, the proof is in the pudding and this quiet yet fancy piece speaks for itself. 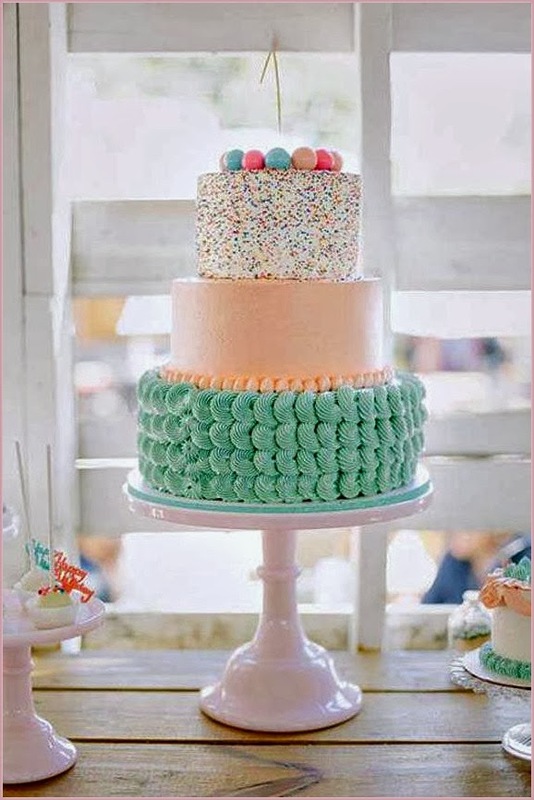 My head is all a fluster with frosting and fondants! 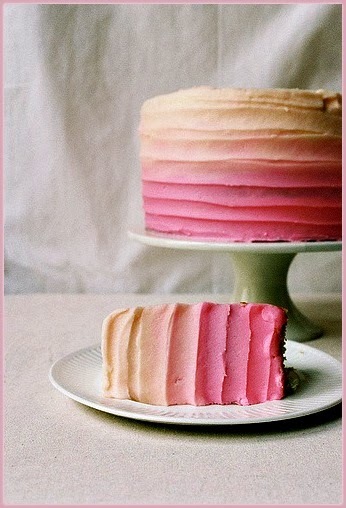 With so much intriguing inspiration I will no doubt satisfy my needs for a celebratory little cake next week. I won't kid myself, however, that I will be capable of recreating anything quite so glamorous and professional as these bad boys, but it sure has given me food for thought! 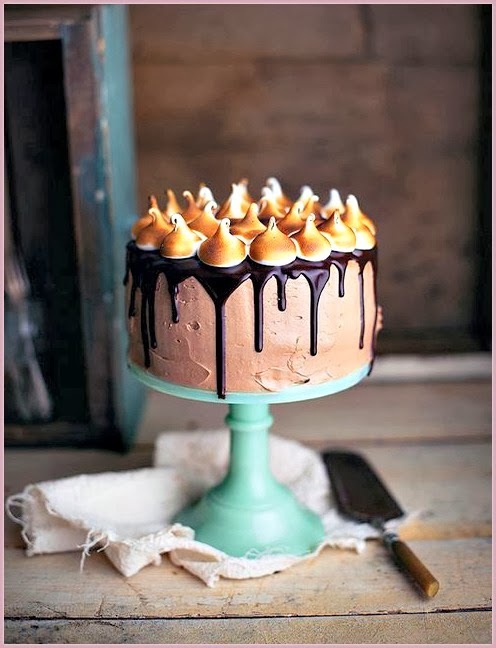 If you have any suggestions or tips for baking cakes then I would be super thrilled to hear them. I love this post! The first image is so beautiful, I love roses! 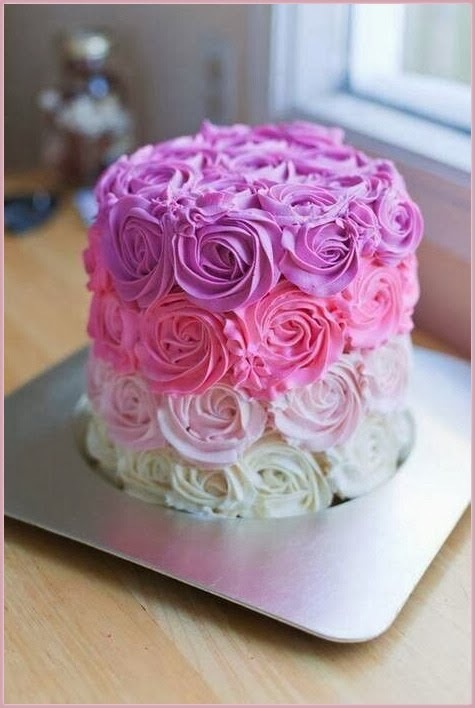 Some people's cake decorating skills leave me in awe! I wish I could be half as talented! And you know what, my friend?.. The carrot cake was in fact, a big hit! We cut it and ate it last night and all but a crumb was consumed! Although it didn't look any where near as gorgeous as these special ones! !